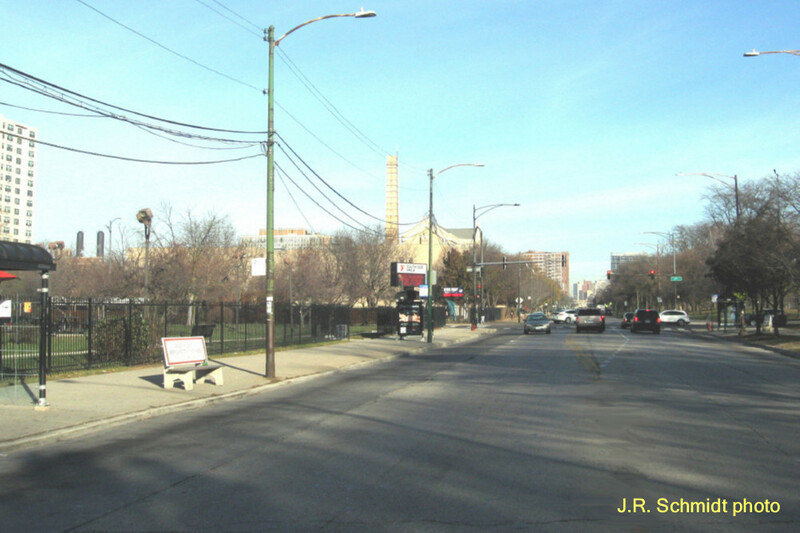 In 1974 the Jackson Park ‘L’ terminal at 63rd-Stony Island was in its eighty-first year of service. By that time the neighborhood was in decline, and many of the buildings that had gone up around the terminal had been town down. Meanwhile, CTA had announced plans to replace the old station with an elaborate park-and-ride facility. Today the ‘L’ line ends a mile west of here at Cottage Grove. The South Side YMCA now occupies the site proposed for the park-and-ride garage, and the Obama Presidential Library is the area’s latest redevelopment project.